Before I forget, I want to share what our sermon was about today... it was about how the opposite of LOVE is not hate, but indifference. Love and hate are both emotions driven out of strong feelings... but indifference is a lack of feeling. I TOTALLY related to that! Our scripture was Matthew 25:31-46 - subtitled, "The sheep and the goats". I've included it here for your easy reference, should you like to read it. *wink* Basically it divides mankind into two groups: those who have compassion on those in need and those who don't. I found it particularly poignant considering what we have been through and I'll be honest... bed or no bed... we have been so richly blessed. Even yesterday I received a check to help with our expenses from... are you ready for this??? ... a soldier in Iraq!!! I am just amazed at how our needs are being met... it's quite an exciting adventure, to be honest... and although there are times that I shed a few tears in fear... for the most part I just feel so honored and humbled to be in this place - not geographically but spiritually. At the end of the service, at the altar call, we were asked to complete a card that either listed our needs or our availability to help or both. I listed both. Under needs I listed BEDS! HA! But I also noted that I need some help with my car payment as it is behind... and I've got to resolve that soon. It could come from a successful sale at work and the commission that supplies... or the kids' dad getting caught up on child support... or, who knows? I'm learning to just be patient and watchful. Sunday school was also awesome as we talked about how people get their perception of Christ by what Christians do... and whether or not we're modeling a Christ that anyone would want to know. Heavy, right? After church we went to our favorite little outdoor barbeque stand with Jim and Angie and the girls. The weather was perfect and the girls were precious in their little dresses that Mawmaw made for them. I love the routine that we are assuming... Sarabeth always eats my garlic bread and Jamie likes to share our fries... they're my portion controllers! After lunch Austin, Sarabeth and myself rode to the north end of Helen to go to Fred's Peanut Shack. Of course, my little social butterfly niece was immediately recognized by those working there and they had to find out who was out peanut shopping with SB. I have been taking my boys to this peanut place their whole lives... leave it to Sarabeth to know the owner and workers! Let me remind you, she is six! We got boiled peanuts and drove back through town with the other tourists enjoying the weather and scenery and our peanuts! Jim and Angie were back at the church for youth choir rehearsal so we dropped off Sarabeth and came on home. 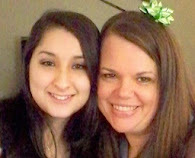 My friend Amy that I used to work with is up here in Cleveland to visit her granny. She is planning to come by this afternoon... and then I have to take Austin to bible drill at 5pm... I have bible study at 6... Austin goes to the corn maze at 7:15 and I'll have to pick him up at 9:45. It's a long day but it's good to be involved and to enjoy our community and church and family. Ohhhh man...I haven't had boiled peanuts since my folks had a place in Georgia. Yumm! Is that little fudge shop still there in Helen? Whenever we went there, I had to get some of their fudge...I loved it all! Glad you had a good day--I hope your week is wonderful, too! What a perfect Sunday...church, family, and friends! What a way to start a week! Thanks for sharing the verses... I forwarded them to a friend that I think will get something out of it. Glad you had such a nice weekend. oh.. and I finally had some boiled peanuts while visiting Savannah during the summer. I have to say, they are not my cup of tea. LOL.. but at least I can say I tried them.